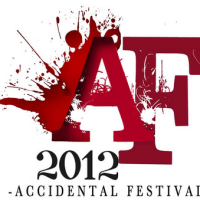 The Accidental Festival is a student led educational project bringing emerging and established artists the opportunity to showcase their work for free at The Roundhouse. The Accidental Festival began in 2005 when students from the BATP: Performance Arts course at the Central School of Speech and Drama were given the task of creating a free platform for students to present their work. 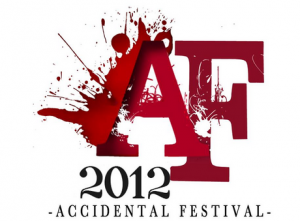 Seven years later, the Accidental Festival has had an international impact, attracting applications from the USA, Spain, France, Slovakia, Estonia, and Africa among many others. The Festival has taken pride in giving new and emerging performers the chance to work alongside those already well-established in their fields. Special guests have included world renowned directors Katie Mitchell, Simon McBurney, Liz LeCompte, Richard Schechner, Anne Bogart and Julian Maynard-Smith. The project has grown each year, and has been hosted at the Institute of Contemporary Arts (ICA), the Battersea Arts Centre (BAC) and The Roundhouse, we have showcased work by over 1,000 artists from the UK and overseas. This year we have invited emerging and established artists from all landscapes and disciplines to join us at The Roundhouse, Camden, with the solid purpose to share experiences and knowledge. As well as working to support emerging artists, the Festival has a very active Community and Education Department, who provide an all-inclusive workshop programme. Through this, we bring theatre and arts to audiences who many not otherwise have the chance to experience them. It’s beautiful: emerging and established artists are performing next to each other; they meet and collaborate, share ideas, experiment… and at the same time young producers in training get to have the time of their lives doing what they love most, providing audiences with real, exciting art! However, each year the uncertainty surrounding the support given to the arts grows a little more, and the Accidental Festival’s future has become a question mark for future years. We don’t want this project to stop, and therefore we need your help to keep making it better, bigger, and more sustainable. How do we do this? Well, thanks to you! Check out the next pitch below…. Confidence with Cancer. I was aged 44 when I was diagnosed with Inflammatory Breast Cancer in 2008. Following chemotherapy, mastectomy, radiotherapy and DIEP flap reconstruction, I have connected with some amazing people and organisations that can help women rebuild their lives. I now feel passionately about helping others. A qualified NLP practitioner and Reiki healer, my mission is to guide and help others to rebuild their lives. We want to provide free Reiki healing and confidence building courses for women recovering from cancer in Manchester.These women may have lost their hair, their breasts, their self confidence. When treatment is over depression is all too common. It is shocking to learn that breast cancer survivors are 37 percent more likely to commit suicide than other women, and the elevated risk persists for at least 25 years after diagnosis, according to a report in the Journal of the National Cancer Institute. Confidence After Cancer is a project that will provide coaching and support to enable women to rebuild their lives and look forward to a happy future. Funds are needed for rental of therapy room, and to provide books and CDs for confidence building. Please click here to help support this project. 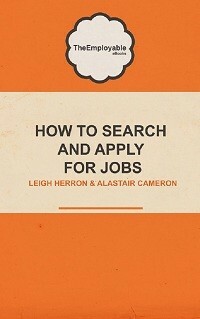 Reblogged this on Gabbymottershead's Blog. Great news that you are showcasing reiki and building confidence, i would like to help you in any way that I can, I have a centre in Prescot called the Prescot Holistic centre, it is right opposite Willowbrook hospice, I am hoping to start trading soon, Hilda Donaldson will be also working for the centre, we will be using the Healing codes and Reiki and as many other natural energy healing modals. If you need any help just email or ring. If you remember me from the Breast Revolution and I was on the Healing Codes workshop with Pam my sister in Manchester. Good luck to you, you are an inspiration to us all.